Cork has natural sound inhibiting properties, found in its cellular structure, that allows for the reduction of noise travelling thru walls and floors. Order up to 6 FREE samples. No credit card required. We provide free samples – mailed direct to your home. At Cancork Floor we won’t let you purchase without receiving our samples. We believe our product sells itself. That’s why we won’t ask you to pay for samples. You can see the quality and examine the thickness of our products. 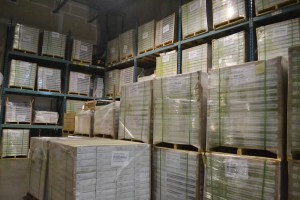 If you would like to save some shipping fee, you are welcome to pick up your cork floor order in a shipping company terminal. This option brings the price of shipping down about $70-$150 because you save the residential, tailgate and appointment delivery costs. Unlike our competitors, who mainly offer 10mm cork floating flooring, we have moved away from the entry level cork flooring and have focused our business on the luxury thicknesses such as 12mm cork floating flooring, 8mm tiles. Step out of your warm bath onto your warm Cork Floor. 100% Water Proof Cork Glue Down Tiles. Cork floor has many advantages that can be beneficial as bathroom flooring. wishing to get a quote? We stand behind our quotes! You are guaranteed the price you are quoted for your cork flooring! If you are looking for the ultimate in reducing noise and sound transfer between floors, look no further than our 3mm, 6mm or 12mm cork underlayment. Our cork underlayment is specifically developed for noise reduction. 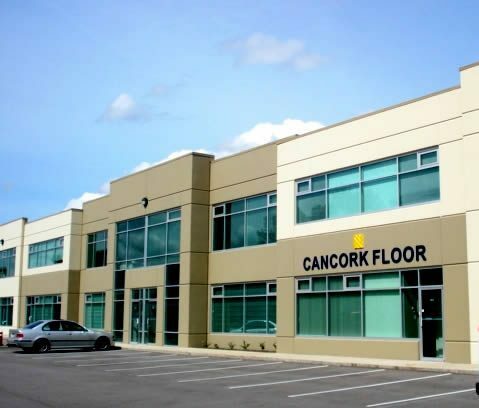 Forna Cork Floor is brought to you by Cancork Floor inc. Cancork is a factory-direct distributor. With European technology, Cancork is able to provide you with the some of the world’s finest Cork Floor Products. Because of our European manufacturing techniques our products have received multiple health and safety certificates in both Europe and the United States (CE, SGS, CARB, and the ECO Institute). Forna cork flooring is made with formaldehyde free adhesives. Forna cork flooring exceeds the European Indoor Air Quality recommendations (view: ECO Institute Certificate) for “off-gassing”; the bi-product of manufactured goods. We maintain strict production protocols to ensure this level of quality is maintained in all our cork and flooring products. Forna products are some of the flooring industry’s hardest wearing floors, making them ideal for commercial use (5 year manufacturer’s warranty). We guarantee our Forna flooring products are of the highest standard – so much so we guarantee our residential floors to be free of manufacturer’s defects for 25 years. The Forna product line includes cork floating floor, cork tiles, cork wall tiles, cork underlayment as well as printed cork flooring. Our products have been installed in high traffic industrial spaces (hospitals, libraries, workout studios) as well as in high-end residential houses and condominiums. The Cancork warehouse stores over 600,000sq.ft of product and we stock a variety of products to meet our clients’ demands. By purchasing from us, you can be guaranteed you are getting the most competitive priced products in the most current styles and colours. 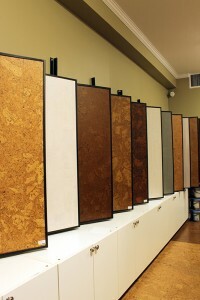 Contact us or visit our Richmond, B.C., showroom to obtain the latest updates of our cork floor products. A quotation for your cork floor project is only an email or a phone call away.